In this webcast presented by Chris Vander Mey, author of "Shipping Greatness," he provides key insights from his book and tenure as an engineering and product manager at Google and Amazon. Chris will focus on the simple things you can do to plan, execute, and manage better, so that you can ship great products. We hope you can join us for this exclusive event. 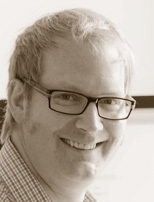 Chris Vander Mey is a former Senior Product Manager at Google and Engineering Manager (a.k.a. "Two Pizza Team Lead") at Amazon. He has shipped software that hundreds of millions of people use. At Google he shipped Google Apps Marketplace, Google Apps Sync for Microsoft Outlook, Google+ Hangouts. At Amazon he shipped multiple versions of customer reputation systems and the Real Names product. He has led teams to develop software in many consumer and enterprise areas, including Google Maps, iOS & Android, and highly scalable data storage systems. He holds numerous system patents and a Master of Engineering Management degree from the Thayer School of Engineering at Dartmouth College.